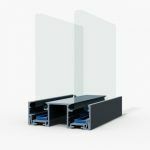 Kova Partitions was formed so that you can explore the best solutions for office partitioning as well as calculate how much it would cost online to install. At Kova Partitions we provide a high quality, professional and cost effective service installing the latest glass partition systems for your latest project, working across London and the South East. Using our quoting calculator, you can get an estimate online instantly and see how you can create a unique and modern design to transform your space at great prices. Due to the nature of the material handling and fitting glass partitioning can be a tricky business so by employing our specialist team it removes any risk to yourselves and ensures that the job is done to a high standard. 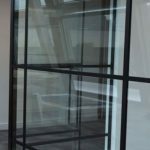 Glass has to be measured very preciously so it is always best to use a partitioning expert who can come and visit the site to measure accurately before manufacture of the glass. This eliminates any costly mistakes to you and puts the responsibility on the experts. When a quote has been given the go ahead we send out a professional site surveyor to take measurements and assign you a project manager so you can be confident that everything is taken care of. Syntel Europe 6000 sq. ft. Enter the height and width you require into our easy to use online ordering form to get an instant no obligation quote. Press the order button and your quote will be emailed to you, we will then call you within the hour to discuss your quote. Please be assured, nothing is put into manufacture until we have carried out a site survey and have received a go-ahead order. If you prefer to discuss over the phone, then please give us a call, we have a team of experts waiting to discuss your project. If you have any drawings, plans or photos you have, they can be submitted to us and we can advise how you can achieve what you are looking to do. We can then email you a quote with all the information you have advised to us on in it. Once you are happy with the quote and the deposit paid we will arrange for one of our professional site surveyors to come to the site and measure for the glass. If there are any adjustments that need to be made after the survey, we will send you a new quote to agree on before proceeding to manufacture. Please note all projects will require a site survey so we can check measurements, the glass will be made from our measurements so the onus is on us should it be incorrect for any reason. With the final quote agreed and final payment made we put the glass into production and come back to install as soon as current manufacturing times allow. Manufacturing times can vary depending on demand but usually we allow 5 – 7 working days and Installation takes a minimum of 2 days. All our work is under a manufacturer warranty for 12 months, assuming any issues are down to parts or labour, rather than miss-use or wilful damage. 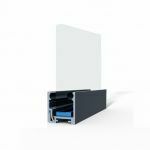 We are confident you will be happy with our work and won’t leave site until you have checked the installation with our project manager, therefore on the few occasions snagging is required it can be resolved quickly. Don’t notice something till we are gone, no problem, just send us an email and a photo and we will be in contact with you to take care of it.